WASHINGTON, D.C. (December 5, 2017) – Horatio Alger Association of Distinguished Americans, Inc.,a nonprofit educational organization honoring the achievements of outstanding individuals and encouraging youth to pursue their dreams through higher education, today announced the recipients of its 2018 Horatio Alger Award. Bestowed annually upon accomplished corporate, civic and cultural leaders from across the country and Canada, all of whom have succeeded despite facing challenges, this award recognizes the new Members’ ongoing commitment to higher education and their generosity in giving back. Through its Members, Horatio Alger Association aims to educate young people about the limitless opportunities afforded to them by the free-enterprise system. To further this goal, the organization awards scholarships to outstanding students who are committed to pursuing higher education and serving their communities. Like Association Members, Horatio Alger Scholars have faced significant adversities, but each has also displayed unmatched resilience in overcoming their respective challenges. Since the scholarship program was established in 1984, Horatio Alger Association has provided more than $125 million to more than 25,000 students in need. Scholarships are privately funded solely through the generosity of Association Members and friends of the organization. 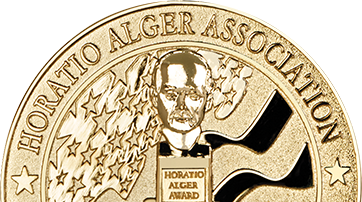 The 2018 Horatio Alger Award recipients will be formally inducted into the Association on April 5-7, 2018, during the Association’s 71st Horatio Alger Award Induction Ceremonies in Washington, D.C. The annual three-day event honors the achievements of both Members and National Scholars, affording both groups the opportunity to meet and interact as well as exchange stories of hardships and triumphs.